Whenever I travel abroad to sunnier climes I tan like crazy, just half an hour in the sun and I'm already three or four shades darker. On the other hand, when I get back to Britain, the tan usually disappears within half an hour of entering the gloom. So my untouched highlighter drawer offered me some hope in my efforts to cling on to that beautiful holiday tan! ... 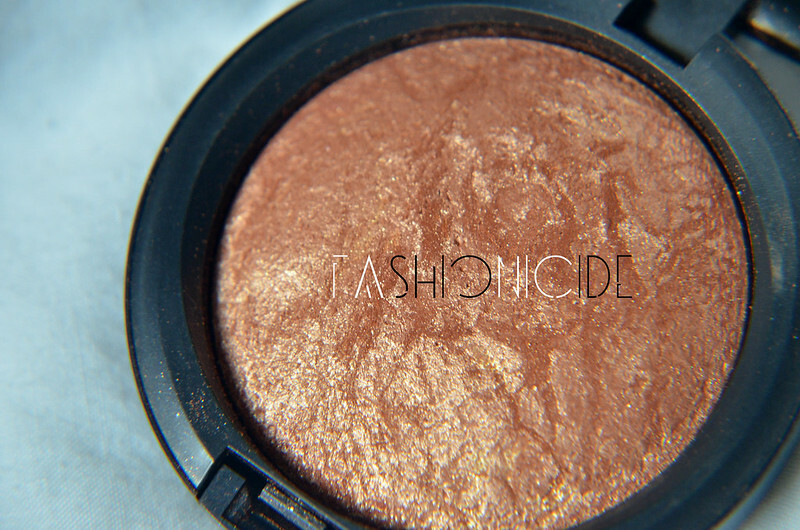 But up close you can see it's a coppery bronze shade with a strong metallic hint running through it. Upon swatching I couldn't really tell you what colour it actually is. It depends on the lighting, where it can either appear coppery, bronzey or even rusty but heck this stuff has some serious shimmer to it - enough to make me shriek - whilst remaining metallic looking. MAC describe it as a 'Soft, reflective Golden-bronze' but I just don't see any gold in it and, as I found out, it's definitely not soft. 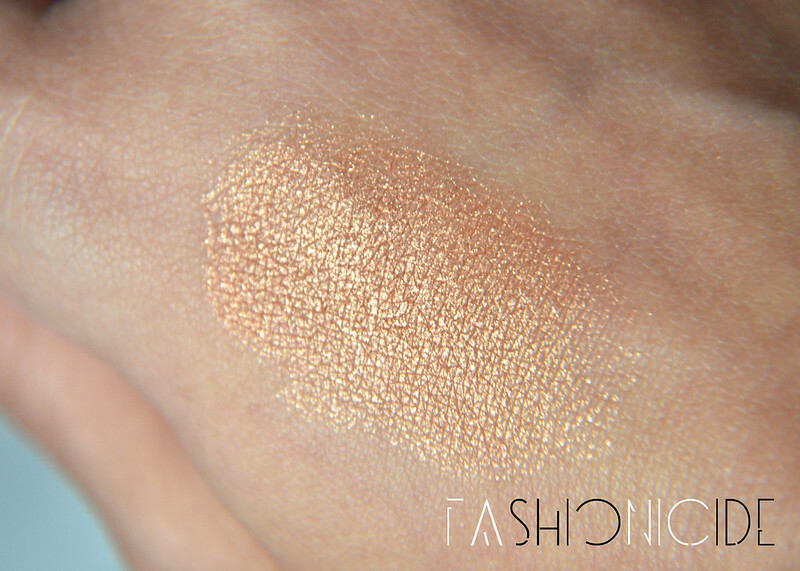 I actually bought MAC's Gold Deposit MSF years ago so could barely even remember how to apply it properly, so I grabbed my Illamasqua highlighter brush and applied it like I would with any other highlighter - big mistake! Not only is Gold Deposit seriously shimmery, it's also incredibly pigmented - to the point where it looked like I'd applied a deep shimmery blusher to my cheekbones! So obviously I wiped that off! Next time round, I took a much lighter, gentler approach and it turned out really well, quite a pleasing result. I wouldn't say that I was glowing though, oh no. I was positively GLEAMING. And that's no bad thing. The colour payoff looks a sort of rusty colour, with a finish slightly less shimmery than I initially thought - which is good - and it didn't look metallic either. So if the shimmery metallic-ness worries you, apply a minimal amount to your brush and buff it in. 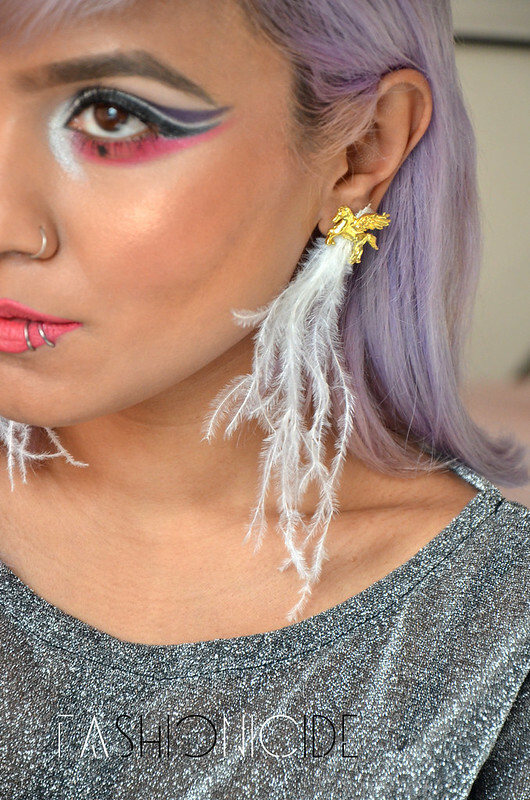 Usually when you think of highlighters or of glowing skin, you think subtle, but this was most certainly not that! In my opinion, it's quite flattering on darker skin, where you want a highlighter that's actually apparent. You don't want to spend money on a highlighter that doesn't, y'know, highlight. Now, I totally get that this isn't everyone's cup of tea, but for those of you seeking something a little more obvious in your highlighters, this is definitely for you. Just look at how photogenic the actual product is, like a sepia-toned mini-Jupiter! I've never actually blogged about a highlighter before, because I've found that no matter how strong it is on my cheeks, it just doesn't translate into photography that well at all - it's almost always invisible. This is probably the first highlighter I've ever photographed where the pictures represent reality! In summary then, I'd strongly recommend this highlighter for ladies either with slightly darker skin or with an inclination for stronger, bolder highlights on the cheeks. If you want something subtle and cutesy, you're probably better off buying a teddy bear. You'll have probably noticed that in half of the photos, something else is vying for a share of the limelight with MSF Gold Deposit - and I don't mean the hair either! No, I bought this pair of stunning earrings from HiddenxTreasure, a new jewellery venture from the ever-lovely Gail at The Equinox Fashion. Would you believe they set me back just £4?! 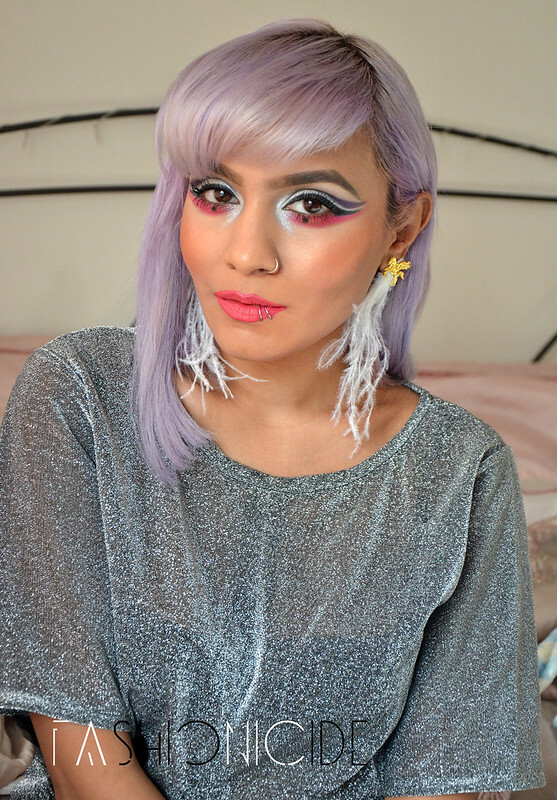 Oh my goodness your makeup is actually incredible! I am as pale as you get so this highlighter is more like a bronzer to me. But it looks absolutely fab on you! You look gorgeous. 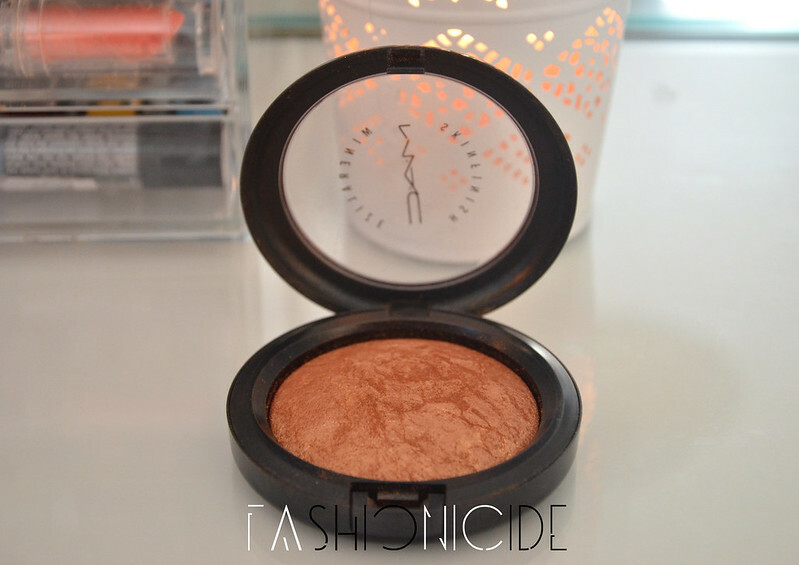 This highlight looks lovely on you and i agree this higlighter will look beautiful on darker skin tones. Really cool! I'm glad I get to see it on you bc I prob would be a bit concerned on how it looked just from the case. Looks great. Love your artistic approach. 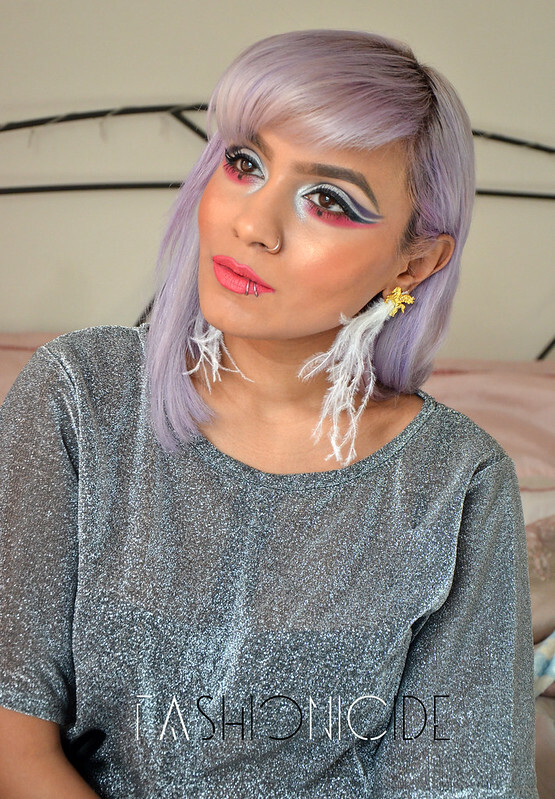 This makeup look is amazing, i wish i could be as creative with colours as you!